If anybody were to ask me about my favourite moment in the Harry Potter franchise, without a doubt I would bring up that scene early on in Order of the Phoenix when Harry maniacally spends hours launching furniture into other students using Leviosa, receiving a lot of verbal complaints but not much reprimand from the school staff. Don’t remember that scene? You likely wouldn’t – it only took place in my and my brother’s playthrough of Order of the Phoenix for the PC some nine years ago. On paper, it’s not the most interesting interpretation of the canon, but it’s a moment that will probably stay with me forever. It also highlights the most frustrating element of Potter videogames – teasing a world so inherently inviting, only to retread the books and films, instead of letting you explore J.K. Rowling’s brainchild at your leisure. For a time, this was simply the mould fit by every game adapted from a book, often through the lens of a pre-existing film adaptation. The most adventurous examples in this niche could be called ‘genre pieces’ (e.g. a shooter, a strategy game, an MMO) that adopted a certain franchise more for its flavour and aesthetic than to recreate its world in a new medium. All other games in this vein were doomed to be straightforward film-adaptations, as most in the Potter library are, with varying degrees of atmospheric quality and memorable childhood moments (as Order of the Phoenix above) but very little in the way of world-building or exploration. Then, sometime in the last five years, a curious trend propped up both in the world of cinema and, by extension, the corner of the videogame industry touched by these franchises. A novel model of shared universes, pioneered by those that we won’t mention here, came into vogue and caused emulation across entire IPs, with projects as picturesque as a Godzilla shared universe or a King Arthur extended universe appearing here and there. The Harry Potter franchise wasn’t an exception, suspiciously renaming itself ‘Wizarding World’ in March 2018 with the upcoming release of its Fantastic Beasts sequel. And just as the movies attempt to find life beyond the mainline book series, it seems Warner Bros. are pushing in the same direction into the realm of videogames. This frustration might be about to end. First leaked by Reddit user VapeThisBro (an account since deleted) onto r/gaming on October 2nd, a one-minute video recorded of a screen is all we have for the new Potter game, rumoured to be titled Magic Awakened or Magic Forever. If Eurogamer’s ‘inside sources’ are correct, the game is being developed by Avalanche Software (creators of Disney Infinity) and is roughly a year from release. But why is this low-quality, unconfirmed footage reason for excitement? Despite its short length (and general unavailability online), this small snippet sets up multiple gameplay features that might make the best interactive instalment of the Wizarding World yet. Within seconds, we are treated to a brief overview of character customization (obviously gendered, and suggesting multiple body, facial, hair, skin and cosmetic options), already pointing at the RPG elements of the game to shape experiences in this world. 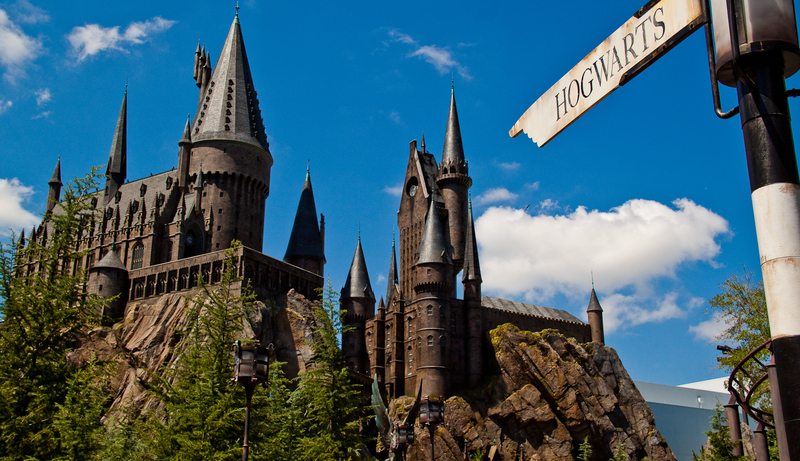 From here, we briefly visit well-known Hogwarts locales (the Great Hall, Hogsmeade, the Forbidden Forest) and classes (Transmutation, Herbology and Potions) before setting off for the unknown. Suddenly, the player finds themselves in pitch-dark catacombs: our character whispers ‘Lumos!’ and use their wand as a torch. This is one of eight or nine spells hinted at in the video, with Alohomora and Stupefy making appearances too. Their integration into gameplay is also shown, with the player using Incendio to burn some troublesome cobwebs or Reparo to reconstruct a broken bridge. We then see Goblins barricading a door – to no avail, as the player launches a fearsome Expulso curse that both bursts through the door and impales an unfortunate Goblin with debris. This last gory detail is (for the angle of the camera and physics) more likely a scripted event, illustrating both the gameplay possibilities and the new darker tone. Moral ambivalence seems to be a pillar of the game, as we see the main character launch into a barrage of Stupefy spells against a horde of Goblins, before destroying the room’s pillars to collapse the ceiling. Somewhat counter-intuitive to the family-friendly Wizarding World setting, this scene of carnage is attributed by the context of the game: reportedly, we play as a precocious fifth-year student in the 1800s who, under the tutelage of one Elezar Fig, must find their own way in a new, Wizarding plot. It is intriguing to visit this older time in the series but even more to have the choice ‘between good and evil’, as the video’s liberal use of magic Curses and Reddit’s accompanying blurb promises. This emancipation from Rowling’s storyline is nothing short of a blessing, either – not tying itself down to troublesome canon, the game will hopefully have a more fluid and volatile storyline that offers the player meaningful and impactful choices. We will likely find out within a couple of years. My opinion, for a number of reasons (from the suspiciously good angle the video is filmed at, to the general ‘polished-but-unfinished’ look of the gameplay, to the supposed origin of the video in a focus-test session), is that this is in fact an intentional leak on Warner Bros.’ part to indirectly gauge interest for an RPG set in the Wizarding World. Intentional or not, there’s more than interest in it – there’s downright hunger.